Your Soul loves to play and dance and sing! It's so easy to take our lives seriously and not let ourselves play and have fun. Imagination and play is the language of our souls. Are you ready to let yourself relax, rejuvenate and have some fun? Aliveness asks us to live our lives engaging both our hearts AND minds, using practical tools AND creative process to transform. You do not have to be a trained artist to make “Spirit Art.” All you need is an open heart and the desire to experience the beauty of who you are. Opening yourself to your creativity, you open yourself to your magnificence and knowledge within. I travel by invitation offering classes, workshops and retreats on creativity, mandala making, and silk painting. Please contact me if you would like to have me visit your area. Mandala is a Sanskrit word meaning circle. It has been used for centuries in Native American, Hindu, Tibetan Buddhist, and medieval Christianity as a meditative focus for spiritual transformation. A mandala is a circular symbol reflecting the inner light of the soul. Circles are found everywhere–in flowers, plants, foods, the sun, moon, and planet earth. Trained by visionary artist, Judith Cornell, author of the book Mandala, Carol offers mandala making at workshops and retreats. 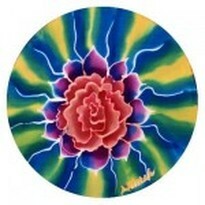 FOR: Mandala workshops and retreats email Carol at carol@alivewithcreating.com for a schedule and location of classes. Mandalas can be used for your meditations, to heal yourself or another, to feel uplifted and balanced, to unleash creativity, find a solution to a problem, or to feel alive! 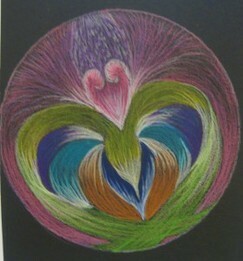 To see more of Carol’s mandalas, visit the gallery of designs. You can order prints of Carol’s original mandalas or order a special custom drawn mandala for you, a friend, or a loved one. Wear Carol’s Alive! Exotic Silks to feel more sensuous, feminine and alive! 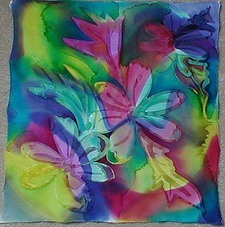 Scarves, Jackets, Wall Hangings, and more. 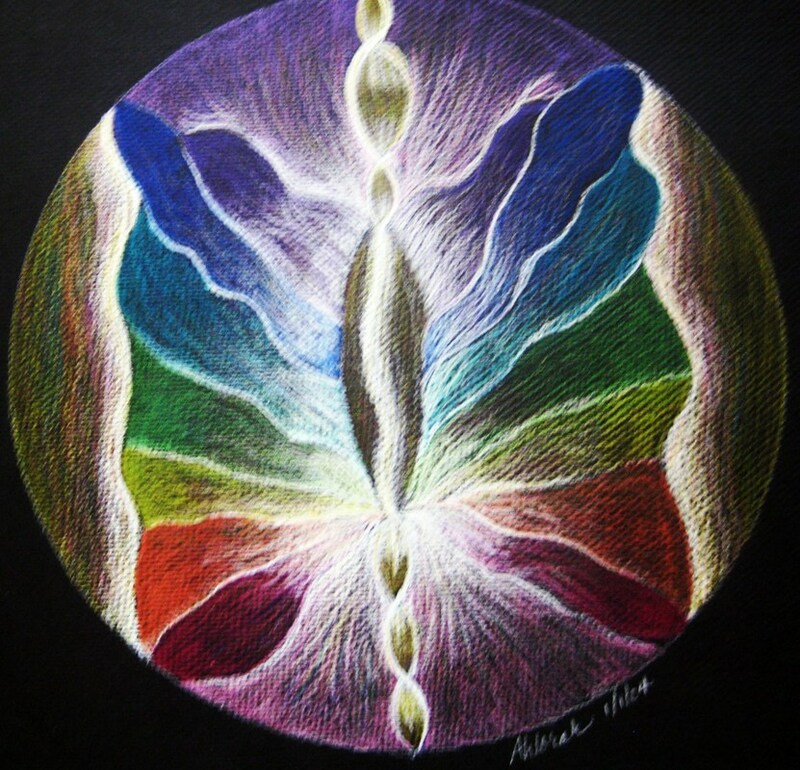 Order from existing designs or in custom colors for you and your spirit. VISIT THE GALLERY OF DESIGNS to see more of Carol’s colorful spirited artwork! ​An Audio of a Transformational Visualization to expand your expression of who you are & attract more of your soul tribe to work with you! Shine as powerfully on the inside as on the outside!